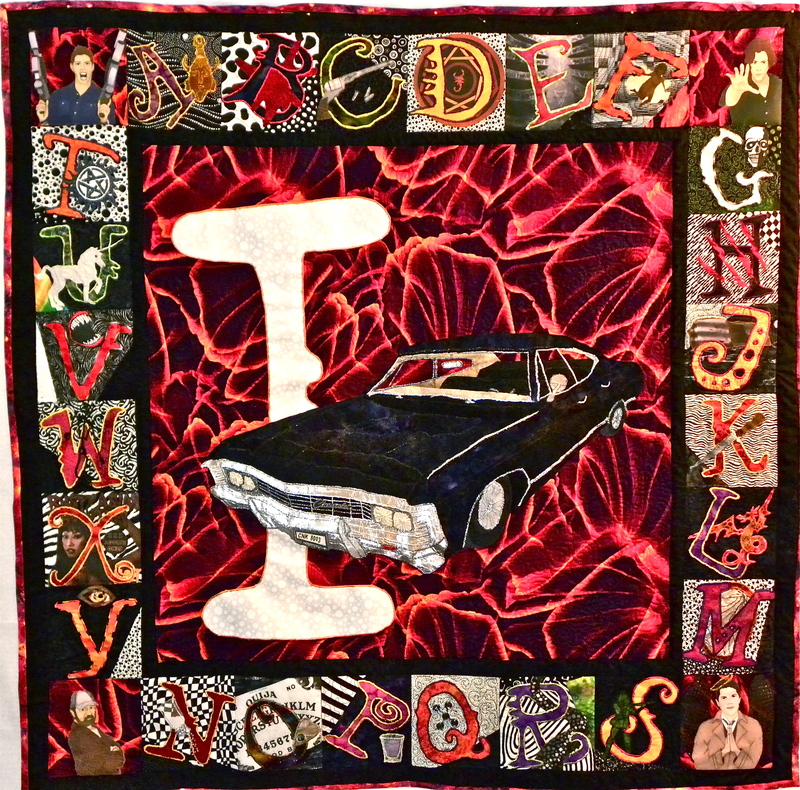 So in 2010 I made a quilt for the Crew of Supernatural. I have always planned to post the pattern on line for free personal use of fans (but not for resale). 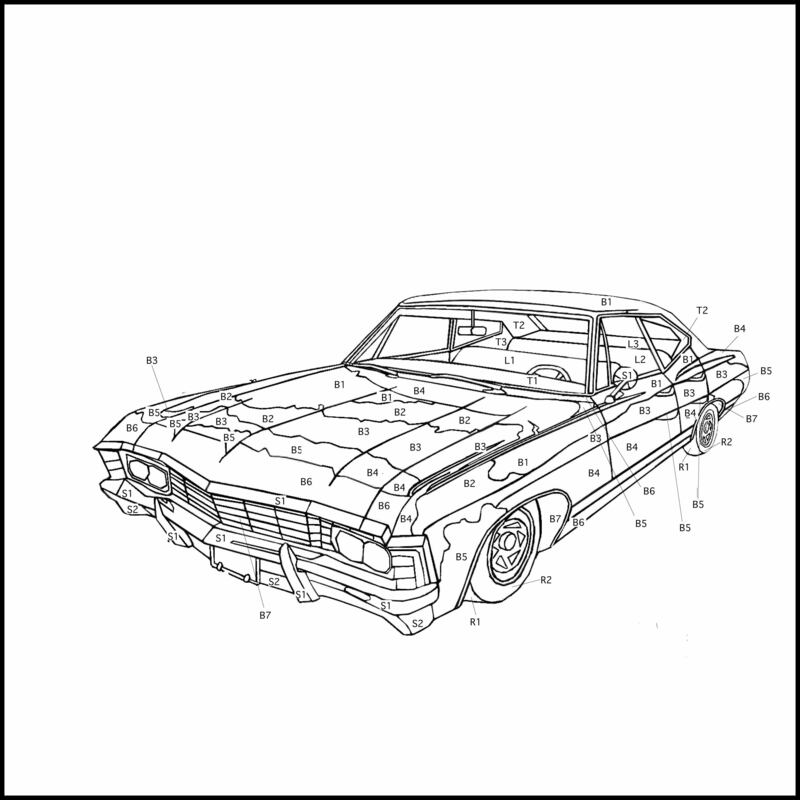 I still plan to do a more elaborate post with instructions and pictures but for now I just want to post the basic Impala pattern so I have a record that I own it . I know I should copyright it or something but I am going free use so I just don't want anyone else to sue me for it, since I hope to give it for no charge to a rubber stamp maker. He can use it to sell rubber stamps as long as I can post the pattern here for people who want to quilt or applique using it. If he decides to use it I will post a link to where you can buy it. 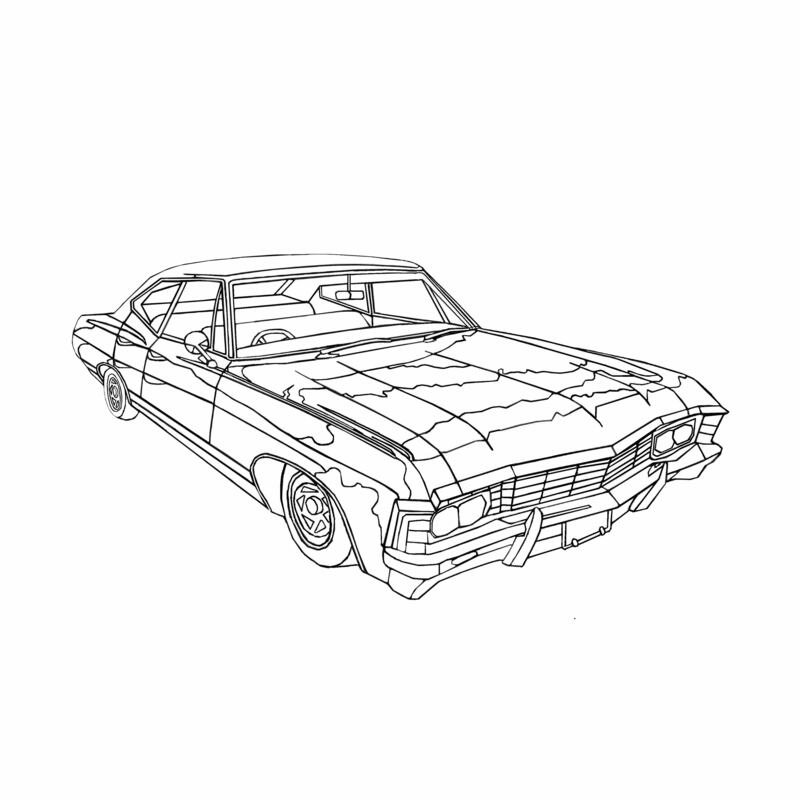 The pattern for the Impala is 100% mine . I used on photos and dimensions I took of a similar cars and eventually of one of the actual show cars. It took a lot of finagling because a 4 door Impala is not easy to find. Very cool. The border on the quilt is amazing too. Fabulous detail on the car.